When I shared 5 beauty tips to make your face look thinner back in February, I knew I probably wasn’t the only person out there who wanted to drop a few pounds without actually going to the gym (or giving up wine and ice cream), but I was surprised to see how many people actually read that post. Of course, I was a newbie in the beauty department back then and didn’t know a lot about the wonderful world of contouring and highlighting, but after spending 5 months watching makeup tutorials on YouTube, I’ve learned a thing or two about making my face look thinner than it really is. 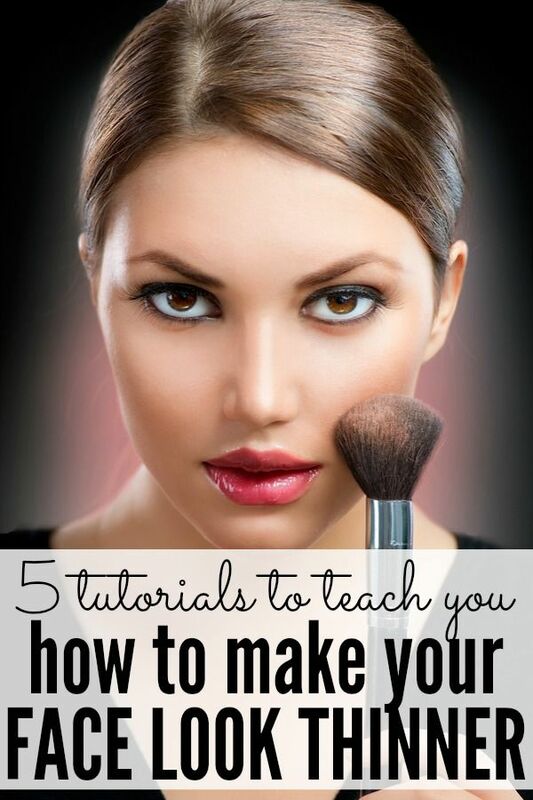 And while the tips I shared in my original post are still helpful (in my opinion, anyway), highlighting and contouring has gone a long way in making me look like I workout 3 times a day and avoid alcohol, sugar, and anything else that tastes delicious (spoiler alert: I don’t do any of those things), so I thought I would share 5 tutorials that will teach YOU how to make your face look thinner as well. If you don’t have a lot of time to devout to watching tutorials or applying makeup to your face, this is a really quick and awesome guide on how to make your face look thinner using cream or powder contour makeup. I use the cream contour technique when I’m in a rush to get ready in the morning, or when I’m not wearing a lot of makeup, and it works really well. If you’ve been following my blog for a while, you know how much I love Wayne Goss, and in this tutorial, he does a fabulous job of breaking down the world of highlighting and contouring while still maintaining the natural look I love. I love all of Sinead’s tutorials because she breaks everything down into easy steps and produces very natural results, and this one is no exception. I particularly love that she only uses powders in this tutorial rather than thick highlighting creams, as I prefer to use powder during the summer months! What I love about this tutorial is that Carli provides drug store alternatives to all of expensive makeup she uses. The finished product is a bit more dramatic than I’m used to, but it’s perfect for a night out with the girls! I can’t imagine doing this every single day, but if you have a big night out ahead of you and really want to wow people, give this tutorial a watch. You will be amazed at what you can do with makeup, and I totally plan on using this tutorial for my 20-year high school reunion next summer!